Prior to last night, Amherst Street had started just once — in June 2014 — since November 30, 2013. Doesn’t look like the time away slowed him down. The now-five-year-old West Virginia-bred Luftikus gelding sped to the front and never looked back in last night’s seventh race, a $24,000 allowance contest. Sent off at 3.70-1 odds — second choice in the field of eight — he posted a 1 1/2 length win over Big Bad Dude, with favored Charitable Annuity back in third. This one may have been won in the first jumps, when jockey J. D. Acosta was able to get the Javier Contreras trainee to the front, where he could control the pace. Amherst Street covered the opening quarter-mile in 23 4/5 seconds while maintaining a two-length lead, and he got the half in 47 4/5 seconds. That left him plenty in reserve, and Amherst Street bounded home in 1:26 flat for seven furlongs, holding off the hard-trying Big Bad Dude and the late-arriving Charitable Annuity. With the win, Amherst Street ran his record to a perfect seven-for-seven, including five stakes victories. As a two-year-old, in 2013, he won all five of his starts, including the West Virginia Vincent Moscarelli Memorial Breeders’ Classic Stakes and the Tri-State Futurity. He made just one start as a sophomore, in 2014, winning the Coin Collector Stakes by a neck. T Rex Express impressed in winning the fifth race, an allowance test for three-year-old fillies. The Jeff Runco-trained daughter of Warrior’s Reward stalked the pace of favored Jacky’s Notion before blowing past that one and romping to a five-length win in a speedy 1:26.46 for seven furlongs. She has now won two of five career starts. Trainers Ollie Figgins won both halves of the early double, taking the first with Katman Quick and the second with Boppin Anda Weavin, both of which were the favorites. 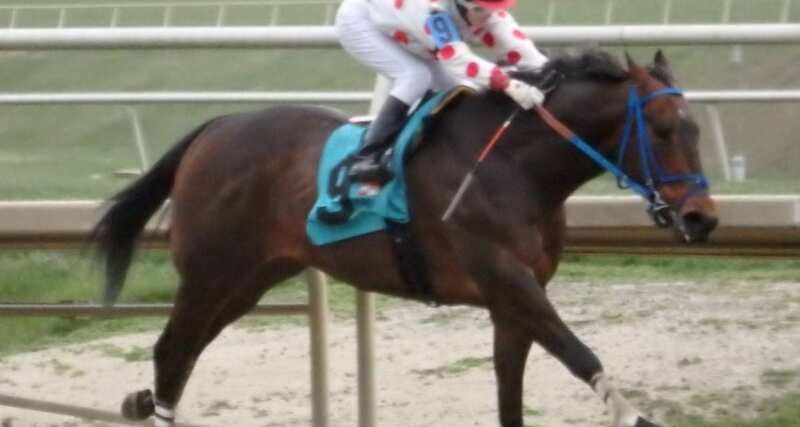 West Virginia-bred Harlan’s Destiny, winner of three Charles Town stakes, including the West Virginia Triple Crown Nutrition Breeders Classic, as a two-year-old in 2014, returns to action this evening in a 6 1/2 furlong test carded as Charles Town’s race seven. Now trained by Anthony Farrior, she is half of a two-horse entry, along with Sensible Match, and they are a slight 5-2 favorite. Trainer Tim Grams conditions the morning line favorite in two of three maiden special weight races on the Charles Town card this evening. In race two, his two-horse entry of Stella’s Monster and Rock n’ Gold are lined at even money; the former is making her debut, while the latter was fourth in her first start. And in race six, Silversmith is 8-5 on the morning line. She has been fourth and seventh in two prior starts. Today’s top races at Penn National include race two, a maiden special weight event for older Pennsylvania-breds going 1 mile 70 yards, and race three, a first-level allowance for older fillies and mares going six furlongs. Fifty Flags, winless in six career starts but second or third in the last four, is the 2-1 morning line choice in the first of those races. Dan’s Girl, a three-time winner in 13 career starts, is 8-5 in the allowance heat.